Sarah Fisher Racing announced today that for the 2nd consecutive year they will be hosting in conjunction with St. Vincent de Paul Food Pantry (SVdP) a "12 days of Christmas" food drive, benefiting SVdP. SFR Race Shop at 4701 Rockville Rd, Suite A., Indianapolis, IN, Monday-Friday from 9:00 a.m. to 5:00 p.m.
Cardwell Do-it-Best Home & Garden Center at 3205 Madison Avenue, Indianapolis, IN 46227, Monday-Friday from 8:00 am. to 7:00 p.m., Saturday 8:00 a.m. to 5:00p.m, Sunday 10:00 a.m. to 5:00 p.m.
Lamping Cleaners locations: 625 Main St, Beech Grove, IN, 3939 S Keystone Ave, Indianapolis, IN or 4030 S Emerson Ave, Indianapolis, IN, Monday-Friday from 7:00 a.m. to 7:00 p.m. and Saturday from 8:00 a.m. to 5:00 p.m.
Update 12:19 pm: Danica's web designer is all over it. The loading page now features DP in her IZOD Indycar Series uniform. Danica Patrick has finally confirmed that she will indeed be driving the #7 Go Daddy Honda powered Dallara for Andretti Autosport in 2010. 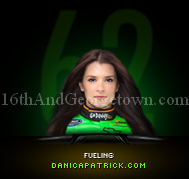 Go Daddy has confirmed a 3-year primary sponsorship for Danica in the IZOD Indycar Series through 2012. Danica will be on set later this week to film the yearly Super Bowl ad. For over 69 years 1070 WIBC could be found on Indianapolis airwaves. That was until December 27, 2007 when WIBC made the switch to 93.1 and 1070 was then re-branded as the newly formed ESPN 1070 The Fan. After the switch the 50+ year tradition of the Indy 500 being broadcast on 1070 WIBC was broken, as it was then streamed on both 1070 The Fan and Hank 97.1. In 2010 the Greatest Spectacle in Racing will be back on WIBC. The 94th running of the Indianapolis 500 will be simulcast on both ESPN 1070 The fan and s WIBC 93.1. UPDATE 3: Robin Miller is reporting that the teams will receive a 6-figure check in addition to all expenses paid for the Brazilian race. The fees will be paid by the promoter. UPDATE 2: The event will be held at one of 3 locations. Sambódromo (most likely), Campo de Marte airport or Ibirapuera Park. "While our primary focus continues to be building the sport of the IZOD IndyCar Series domestically, the race in São Paulo affords us a unique opportunity to visit a country that has a huge passion for open-wheel racing. With strong support from our major partner Aprex-Brasil, a significant television package from TV Bandeirantes, a large number of drivers from the country and the opportunity for a unique course, it makes sense from both a business and competition standpoint," -Terry Angstadt, president of the commercial division for the sanctioning Indy Racing League. According to Brazilian news, the IZOD Indycar Series will open the 2010 season in Sao Paulo, with an announcement expected at any time. 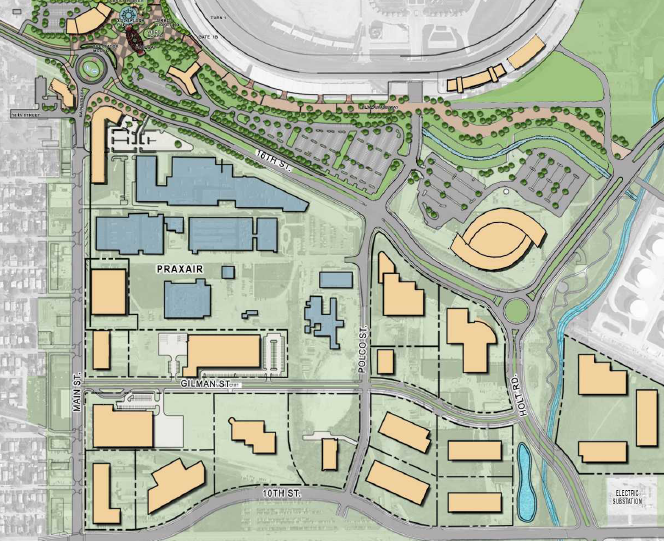 They say that the specific circuit has not been mapped out, although they are looking at several layouts. Andretti Green Racing is no more. From now on, it will be referred to as Andretti Autosport. This now opens the door for the anticipated announcements of Danica Patrick and Ryan Hunter-Reay for 2010. 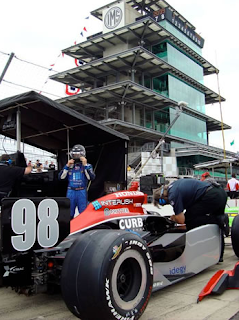 16th And Georgetown: Piloting a Firestone Indy Lights car, you made your first start at the Indianapolis Motor Speedway running in the Freedom 100 last season. What are your thoughts on your first run on the 2.5 mile Superspeedway? Jonathan Summerton: It was awesome! The track is a lot of fun and well to race on you actually have to work with your tools in the car every lap. It was an amazing time and amazing fans. 16th And Georgetown: This past May was your first time experiencing the Indianapolis 500 live in person. Do you see yourself running in the Greatest Spectacle in Racing anytime soon? Jonathan Summerton: I really hope so. I would love to and be honored to race in this race and be representing America in it. I really enjoyed the whole atmosphere and well what a spectacle of people. 16th And Georgetown: It's been widely rumored that you are on the short list of possible drivers for the newly formed USF1 team. If a 2010 F1 seat doesn't come to be, what are your backup plans? 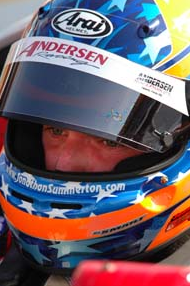 Jonathan Summerton: Well I don't really know all I do know is I have my eyes set on doing the INDY 500 and doing F2 in Europe as I feel I need to head back to Europe to get my foot in the door for F1 and also represent America well in Europe. 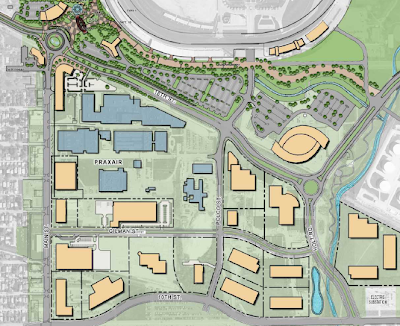 16th And Georgetown: In your off time you often run the 2-seater and lead car for the Indy Racing Experience at the Walt Disney World Speedway. Not a bad gig, no? Jonathan Summerton: Well it has been picking up slowly and well it is a lot of fun giving people the thrill of experiencing a real race car. The biggest thing is at the moment now the weather in Florida makes it the perfect time of year to come visit the Indy Experience and experience it at it's best. It's so nice to see people get out of the car with a smile on their face. 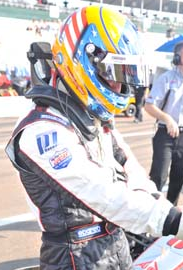 16th And Georgetown: With a 2nd place finish at St. Pete in the Firestone Indy Lights, 5 poles and 4 wins on your way to a 2nd place finish in a close fight for the Atlantic Championship with teammate John Edwards, 2009 seemed to be a pretty productive year. What are a few or yourhighlights from the '09 season? Jonathan Summerton: Well it was definitely the hardest and most stressful season ever as I raced for 3 teams in 2 series. I mean With Andersen if we would have been able to continue I feel we could have won the championship and same with Genoa. It was an all around fun season. I can't thank Genoa, Anderson, and NWR enough for their support. My best moment though would have to be my weekend at Mosport where we were fastest every session. It was a great weekend but actually all of my races were fun this season and a great challenge. But most of all it was best to put on a show for the fans. For me my Fans are the most important thing to me! 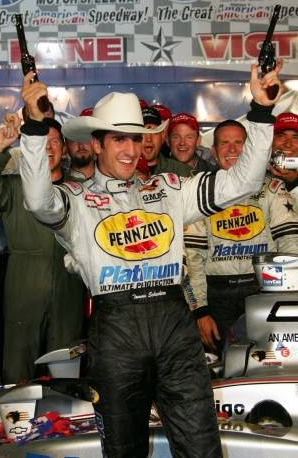 Tomas Scheckter is one of the most thrilling drivers to ever strap into an Indy Car. 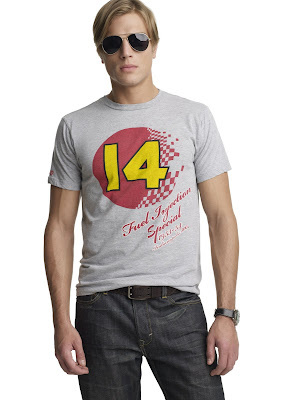 His breath taking passes, daring moves and marketing value make him one of the fan favorites to any who follow the IZOD Indy Car Series. Scheckter, finished up his seventh Indy Car season for Dreyer and Reinbold Racing driver the #43, and at times #23 Mona Vie Honda. He has two career wins, 8 poles and 37 Top 10's in his career. Tony: You brought your own sponsor to the series this year in Mona Vie. Tell us a little bit more about the product and how fans can get involved with it. Tomas: You can get involved with Mona Vie by signing up to get the product and also become a distributor. I have been taking Mona Vie for about 2 years and have had great results for my immune system. Plus its a great way to make extra income. 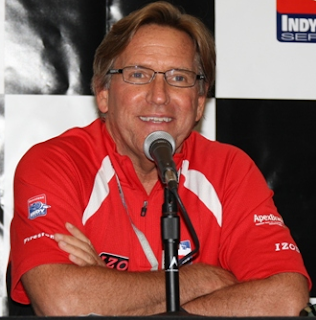 Tony: You ran Indy this year with Dale Coyne Racing, and ran a partial schedule with Dreyer and Reinbold, how did this deal come about for Indy and with DRR? Tomas: I was speaking with Dennis Reinbold since the start of year. I was able to do more races with them as I was in the 23 car for some extra races. 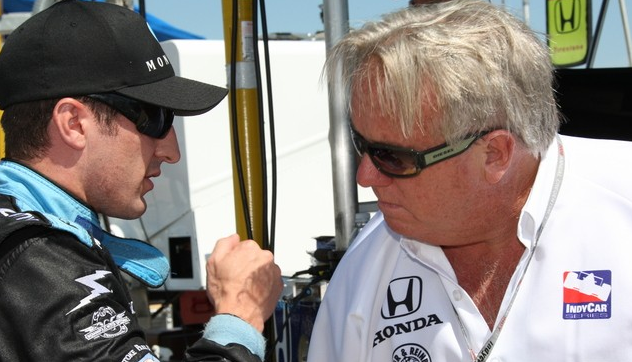 Driving for Dale Coyne was great at Indy, he is an extremely good owner to drive for as well as working with Bill Papis and Justin Wilson. 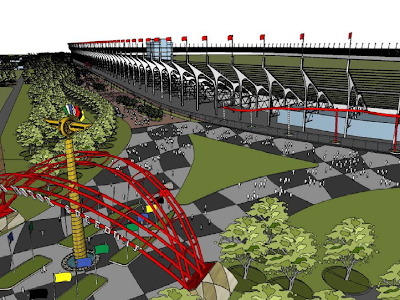 Tony: Where would you like to land for the 2010 IZOD Indy Car Series? Tomas: I want to be in the best possible place where I have chances to win races, I have led a lot of laps in this series and have enough experience now to know that if I am put in a competitive situation again I can win. Tony: You have over 3000 followers on Twitter, and everyone seems to get a kick out of your dog Snoop. Tell His more about Snoop. Tomas: Snoop I got from Uncle Bills in Indianapolis. I know the owners daughter and go into the store regularly to play with puppies and fell in love with Snoop. Tony: After the incident involving Alex Tagliani at Toronto which provoked another glove throwing incident, have you spoke with Tags since? Tomas: I talked to Tags at Edmonton. He came to speak to me which was nice. We spoke for a bit and shook hands at the end. Racing is a sport with a lot of emotion where a lot is on the line but racing things happen. Whats good is you can shake hands and move on. Tony: When you ran select races this season in the 23 car, you were reunited with Larry Curry who you worked with when you ran for Vision. How did this help your performance? Tomas: Larry Curry is a great guy, I enjoy working with him because he installs a lot of confidence in myself. Still, I had missed out on a lot of driving this year so I needed to be in a situation where I worked with some of the people I had worked with in the past. It helped alot. Tony: If you ever win the Indy 500, what do you drink first? Milk or Mona Vie? Tomas: That is good question. Well first we need to see what direction Mona Vie wants to take next year. They are a great company and product I believe in, but it is Indy and I love the tradition and would do nothing to disrespect that tradition of drinking the milk, but soon after I drink the milk I would love nothing more than to drink some Mona Vie Energy. Tony: In the past, you have been known to tear up some equipment. 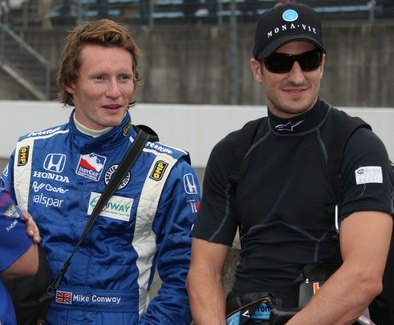 This year, we saw a different, more patient Tomas Scheckter, what has changed? Tomas: I think your right, I am more patient. I have more of a feel and think bigger picture now, I must be getting old. Tony: Luczo Dragon showed signs of progress in 2009, why do you think things didn't click there for you in 2008? Tomas: I am not sure what happened at Luczo. I think i did a pretty good job for them at Indy and big ovals. I enjoyed working with a lot of the guys on the team. I guess I needed stronger driveshafts or something, funny how I didn't brake one this year. Tony: To end, tell us about the tent set up in your home that you sleep in. Tomas: I have an altitude tent to help with my fitness. Its something a lot of endurance athletes do. I first got the idea from Lance Armstrong. I tried it and then started to use it regularly. I want to make sure my body and mind is best it can be in and out of the car. 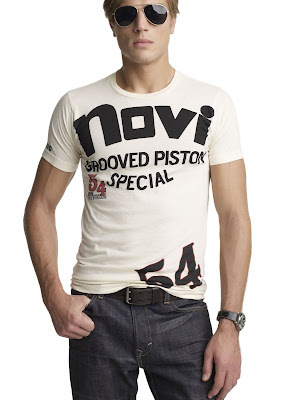 Tomas still has not announced anything for the 2010 IZOD Indy Car Series. You can follow him on Twitter @TomasScheckter. Stay tuned to 16th And Georgetown for updates on where Tomas will land next season. 16th And Georgetown: For the first time since 2001 the Indycar Series will be entering the 2010 season with a title sponsor. The addition of IZOD is an obvious financial and marketing boost to the series, but what effect do you see it having on the teams? the door to consumer and lifestyle brands to use Teams as a way to reach the fans and market their products. Bottom line, I think it will ultimately help the teams with strong sales and marketing capabilities to secure additional sponsorship. season, unfortunately the team was unable to complete the required tests in time. Does Team 3G have any plans to field an FIL car in 2010? well. We had been working on putting together a program for her to run an Indy Lights program with us in 2010, but I think that this year has really shown that we as a team need to stay focused on our long-term plan. We need to make sure we can take a step up in performance and continue to grow our partnership base in the IndyCar Series for 2010. Our plans are to create a solid IndyCar platform, and then add programs as sponsorship and funding becomes available. 16th And Georgetown: There were rumors heading into last season that the team was looking into running an additional car. What are the chances of Team 3G running either a 2nd car at the Indianapolis 500 or possibly a 2-car operation full-time in 2010? only do so when it makes financial sense. do you see the talented American returning for a sophomore season? Steve Sudler: Richard did a fantastic job for our team last year. 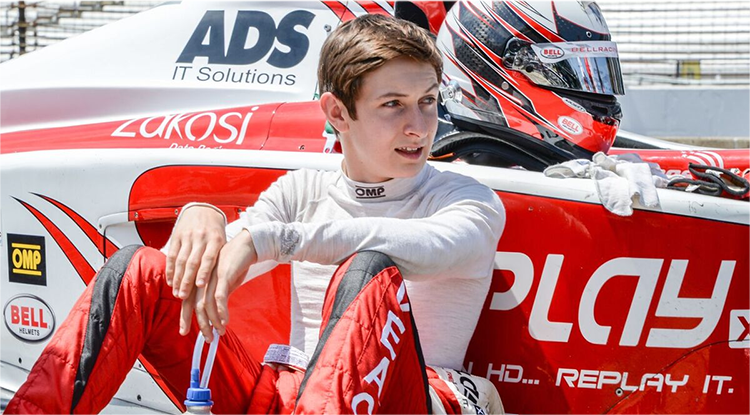 He was able to show that a small, efficient team such as ours can be competitive in the hands of a young driver that is hungry to prove his abilities in a race car. There were a couple of races where he had lap times within the top 10 fastest laps of a race, which shows that he can be a competitive IndyCar driver. 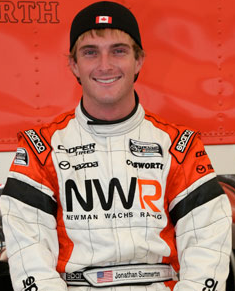 We are building our programs around Richard, and we look forward to having him as the Team 3G driver in 2010. 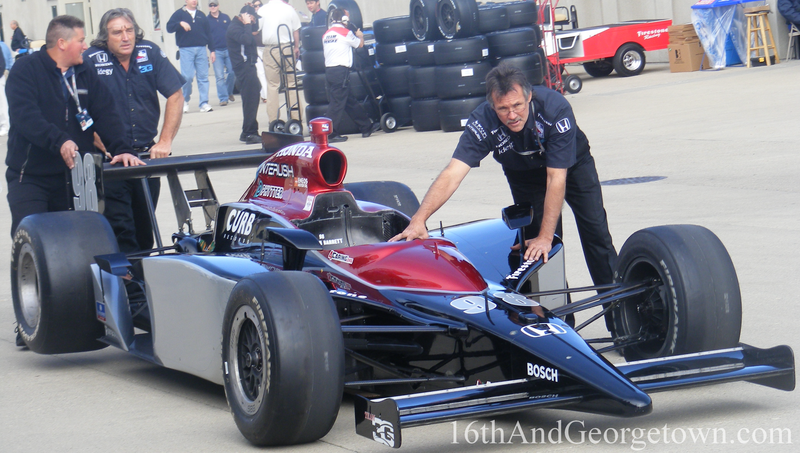 16th And Georgetown: Team 3G's freshman season in the IZOD Indycar Series was up and down. What are your goals and expectations for 2010? Steve Sudler: Yes, our inaugural season was up and down for sure. Some of our ups were a 12th place finish at St. Petersburg to start the season, as well as the competitive showing of Richard Antinucci on the road courses. We had our share of not so good showings, especially at Indy, Milwaukee, and Richmond. But overall, I think we accomplished our goal, and that was to show up at every race and establish a foundation for long-term growth. We had the smallest budget of any team this year, which we knew we had to do in order to build for the future. Our goals for 2010 are to compete for top 10 finishes, and to increase our budget through additional partnerships. 16th And Georgetown: The month of May 2009 was one that I'm sure you'd like to forget. Do you feel like Team 3G has some unfinished business at the Indianapolis Motor Speedway? Indy as motivation to come back in 2010 with a renewed determination to be successful. More than anything, it was a moral defeat that took a couple of races for us to get back in the saddle and get the motivation to continue to do our best. It is never easy being the "underdog" in the sport, but from Watkins Glen onwards, the team was pumped up and ready to give it their all. I can't say enough about the guys on our team, they worked twice as hard as most other teams since there were fewer of them to do the work, plus we only had 1 chassis to use the whole season. It made for a lot of hard work, but our guys stayed dedicated and focused on getting the job done. 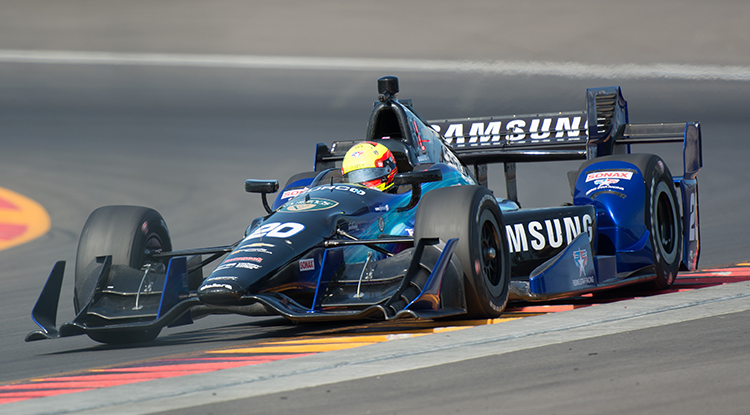 According to the Indianapolis Star's Curt Cavin, the new "radical" chassis design is by former Lola engineer and current Chip Ganassi engineer, Ben Bowlby. It's said to look like a cross between a sports car and a motorcycle, but has the support of Tony George, Chip Gannassi, and Michael Andretti, 3 of the powerhouses in the IZOD Indycar Series paddock. Although Dallara has a chassis which is similar to the current formula that is still up for consideration, when John Lewis was on Trackside last night, it sure seemed like they were leaning towards the "radical" design. Today is a very sad day for some, but a very exciting day for others, 16th And Georgetown will soon be no more. No, you haven't gotten rid of me that easy. Today ground was broke in Speedway on the $500 Million revitalization plan. The 400 acre project began today with the $6.7 Million Main street reconstruction and should be finished by May of 2011. 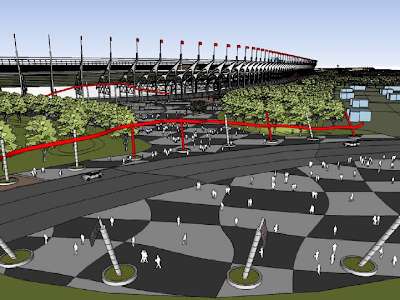 This summer the renovation of 16th And Georgetown will begin, with the checkered flag dropping on the project by November of 2011. They are slated to close Georgetown road between 25th and 16th streets and develop a park between the track and neighboring homes. A round-about will be built near the current 16th&G-town intersection, redirecting 16th street traffic southeast before another round-about will direct traffic northeast and back onto the current path. 16th Street/Holt Rd. round-about, looking north east. T2 can be seen in the upper left portion of the photo. It's been widely rumored over the last several months that Will Power would return to Penske Racing in 2010. Today, they finally made it official. Power will pilot the Penske Racing #12 Black/Red Verizon Wireless Dallara full-time next season. Update 12:58: According to Jose Teixeira the Chief Editor of a Venezuelan Auto magazine, E.J. is negotiating with 2 teams. One is owned by a former Champion, the other has drivers that wear red. In a rather surprising development, it looks like E.J. 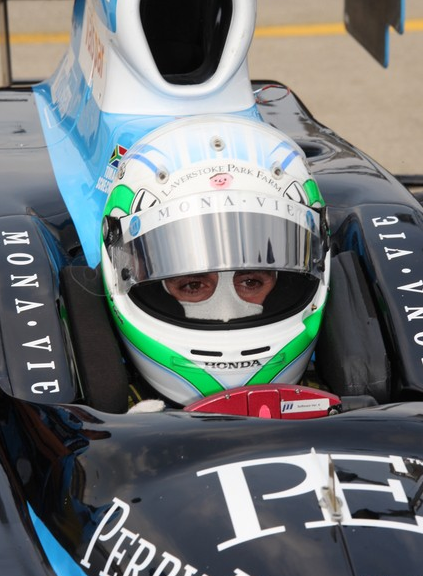 Viso could be returning to the IZOD Indycar Series in 2010. Although nothing is official, it's been reported that Viso will announce the deal shortly. 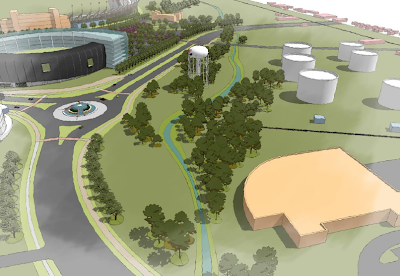 Big Changes To Come At IMS/ICS? If last weeks 40 layoffs weren't bad enough, the IBJ reports that big changes could be coming for both the IZOD Indycar Series and the Indianapolis Motor Speedway. Due to Robin Miller, it wasn't really a huge surprise when Jeff Belskus, the former Chief Financial Officer for IMS, took over for Tony George last summer. It was however still a little unclear as to why. It was said that "the sisters" were unhappy with some of the decision their brother made, but I think the real reason is beginning to come clear. Tony George is a loyal guy, sometimes to a fault. And I believe that is a huge reason, if not the reason TG stepped down as IMS and IRL CEO earlier this year. It's quite simple, I think he was told that the layoffs/changes needed to be made and he just couldn't do it. If your not watching the big Colts/Patriots game tonight on NBC, you'll be able to catch the President of the Commercial Division for the IRL Terry Angstadt on Wind Tunnel. Angstadt will presumably talk about the Title sponsorship, car count, and how close they are to confirming Brazil. The show can be seen on SpeedTV at 9 p.m.
A few weeks ago on TrackForum, Indy 500 and IZOD Indycar Series fan Art Vandele announced that he was unable to continue his IMS Seating Guide website. Fortunately Art was willing to hand over the keys to all of the information that took him years to accumulate. After combining his stuff with addition information and stats that I've accumulated, the new site is ready to launch (link to the right). 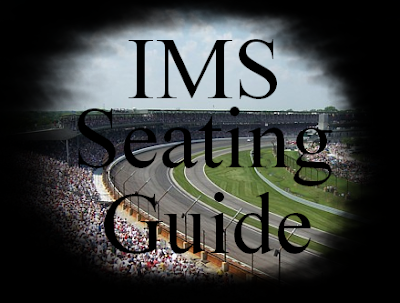 On the IMS Seating Guide pages you'll find: seating maps, views from the seats, Stand/Vista stats and much more. What I need from you, are photos. If you have photos from your IMS seats I would love to be able to add them to the site. You can send them through E-mail (16thAndGeorgetown@live.com) and if you have the Stand/Vista, Section, and Row information, it would be greatly appreciated. 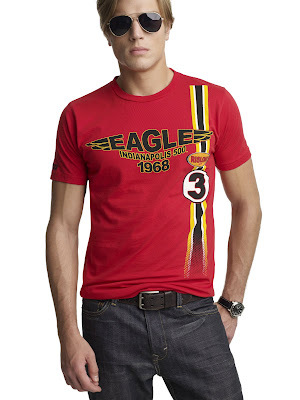 Although the vintage IZOD Indy 500 shirts from the last post won't be available until 2010, the IZOD Indycar Series is beginning to roll out their newly branded clothing. It's finally official. 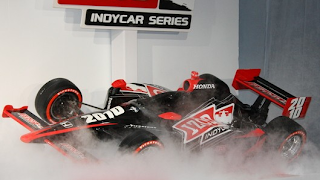 After months of waiting, the Indycar Series will now be known as the IZOD Indycar Series. With the tagline of "The Fastest Race on Earth", IZOD has signed a 6-year multi-million dollar contract to become the new Title sponsor, with an option for a 7th & 8th year. In what was truly a superb event, with a great turnout, both IZOD Indycar Series and IZOD officials really seemed to be happy with the announcement. As Brian Barnhart put it "This is the first legitimate Title sponsor we've ever had"
One of the biggest bits of news to come out of the event was that the 2-seater would start each race (including the Indy 500) with the pacecar for 2 parade laps. 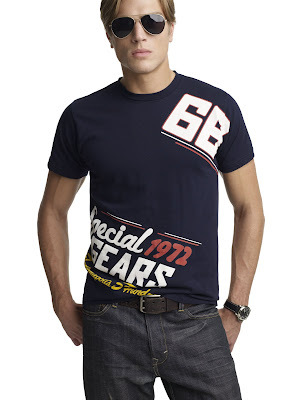 It will be driven by a 2-seater regular (D. Hamilton, A. Luyendyk jr...) and will carry a person of IZOD's choice. Part of the multi-million dollar agreement, IZOD will participate in the TEAM program. 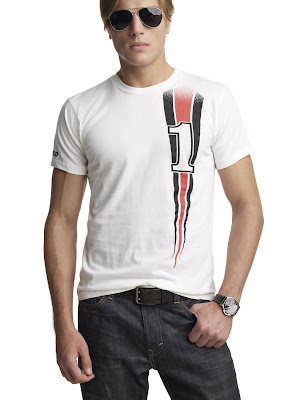 The TEAM program which was introduced in 2008 gives guaranteed money to IZOD Indycar Series teams. 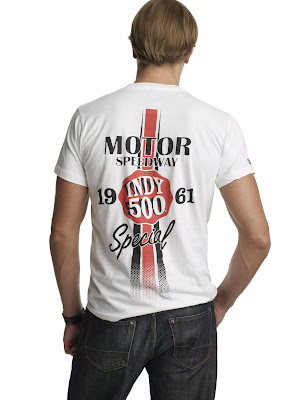 With the Title sponsorship, the Indycar Series and Indianapolis Motor Speedway are giving IZOD access to current and former drivers as well as "100 year's worth of motorsports assets and graphics from the Indianapolis Motor Speedway Hall of Fame museum, including current and vintage cars, for both on and off track events, both in and out of race markets". IZOD said that they were in talks with ABC and Comcast to get tv spots on the fallowing channels: VERSUS (obviously), Golf network, E!, G4, Style, ESPN and ABC. The event began with a 4-5 minute video, showing clips from ICS races and IZOD events. 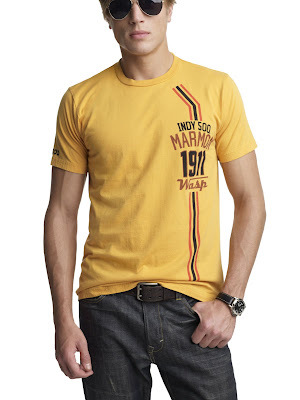 It was fallowed by a short runway show, where the models showed off IZOD Indycar Series merchandise. They then unveiled a red and black Dallara all painted up with the IZOD colors, then came the announcements. As I wrote last Thursday on the 16th&Georgetown Facebook page, shortly after the Title Sponsorship announcement Ryan Hunter-Reay would sign with a competitive team. But what I didn't know, was what team. According to SPEEDtv, Ryan Hunter-Reay is closing in on a 2010 ride with Michael Andretti's Indycar team in 2010. 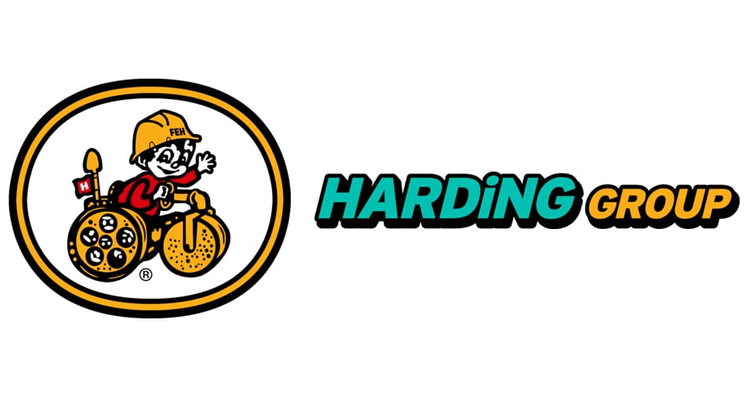 With backing for IZOD, RHR has reportedly been negotiating with the team for several weeks, only saying "Something good is on the horizon but it's not done yet and I can't talk about it." According to ESPN, Danica Patrick is "in the final phase" of a 2-year deal to run a limited schedule with stock car team JR Motorsports. 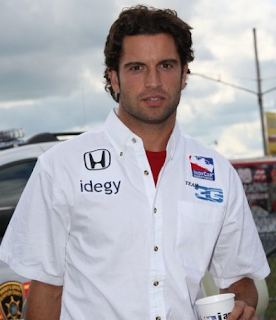 Weeks ago it was reported by the Indianapolis Star's Curt Cavin that 27 year old Patrick had signed a 3-year contract to remain with Andretti in the Indycar Series. An Announcement has yet to be made. For the first time since 2001, the Indycar Series will enter the 2010 season with a title sponsor. 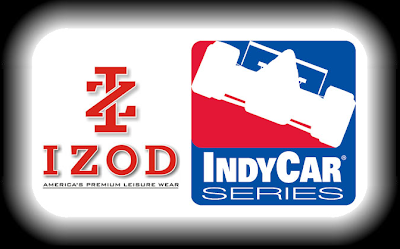 Izod, personal sponsor of Ryan Hunter-Reay and category sponsor of the IRL in 2009, will announce on Thursday that they will dramatically increase there involvement next season by becoming the Series' 3rd title sponsor. The announcement can be seen Live on Indycar.com at 2pm Thursday. The long awaited move comes more than a year after speculation that the Series was closing in on a deal with either Subway, or Citi Group, and months after the original rumors of the Izod sponsorship began to spread. But, better late than never. Last year as a category sponsor IZOD did a tremendous job in activation, and that's exactly what the Indycar Series needs. They hosted autograph sessions at nearly every event weekend with both current and former drivers. They had huge Indycar and Indianapolis 500 displays in Macy stores all across the country including the New York City Herald Square store in May. They had commercials that ran all season on VERSUS and various other channels. We need all of that, but more of that. 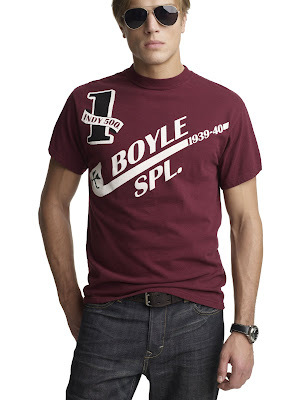 Let's just hope IZOD continues to activate the sponsorship.